The judgement in the fourth scandal case of multi-crore fodder scam against RJD chief and former Bihar chief minister Lalu Yadav is likely to be announced on Friday (today). The verdict on the fraudulent withdrawal of Rs. 3.13 crore from Dumka Treasury was deferred by a CBI special court after RJD leaders' counsel filed a plea. "We filed a petition on Monday asking the Attorney General office officials to be made accused in the case too. Both parties argued in the Court. The order has been reserved and it will be pronounced tomorrow. 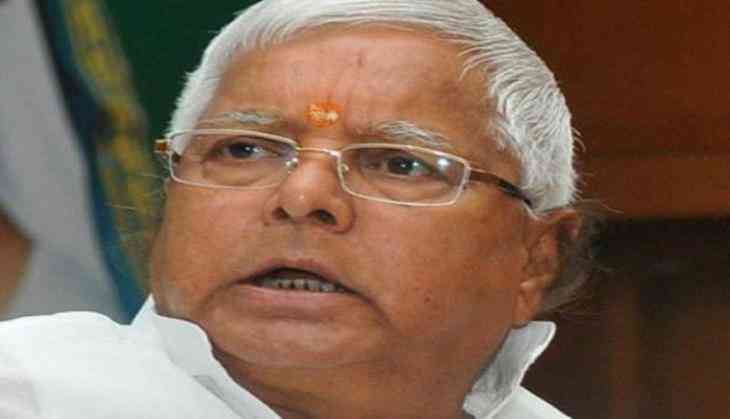 After that the date of judgement will be fixed," Lalu Yadav's lawyer Prabhat Kumar had said. However, no date had been fixed for pro-announcement of the verdict in the case. A special CBI Judge Shiv Pal Singh on Wednesday put off verdict in the view of the counsel for Lalu Prasad filing a petition under 319 CrPC. The court also asked that the then three officials of the Accountant General of Office in the 1990s be made a party to the case under 319 CrPC. Other than RJD chief Lalu Prasad Yadav and Jagannath Mishra, there are 29 accused, including former IAS officers and AHD officials, in the Dumka Treasury case. Lalu was convicted in three fodder cases while Jagannath Mishra was convicted in two fodder cases. On January 24, this year a special CBI court sentenced Lalu and Mishra to five years in jail in a fodder scam case related to fraudulent withdrawal of Rs 37.62 crore from Chaibasad treasury. The Fodder scandal is of over Rs 900-crore that is related to illegal withdrawal of money from government treasury in different districts in the Animal Husbandry department in undivided Bihar in the 1990s when RJD was in power in the state.